Arthur Gregg Sulzberger has been named as the new publisher of the New York Times; he was previously the deputy publisher of the newspaper. The appointment was made by Arthur Gregg’s father, Arthur Sulzberger Jr. He got his job because his predecessor, Arthur Ochs Sulzberger, was his father. Thus does the white male dynasty continue. A.G., as Arthur Gregg is known (it was confusing at the newspaper so they settled on his initials), represents the fifth generation of his family since the Grand Patriarch, Adolph S. Ochs, bought the newspaper in 1896. When A.G. was named deputy publisher, the only two candidates for the job were white males, Sam Dolnick and David Perpich. The hiring process was a classic case of nepotism. Indeed, it was incestuous: the three men are cousins. This time around, there was no competition at all. A.G. was simply anointed publisher by his father. 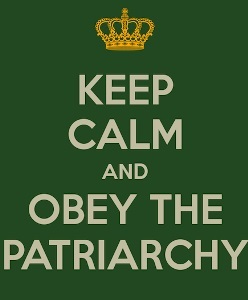 A more stunning patriarchy would be hard to find, even in Third World nations. No women were interviewed for the top spot. No blacks were interviewed. No Latinos (including the undocumented) were interviewed. No Native Americans were interviewed. No Asians were interviewed. No Catholics were interviewed. No Protestants were interviewed. No Muslims were interviewed. No Mormons were interviewed. Most astonishingly, no transgender persons were interviewed. Who needs affirmative action? Who needs to advertise? Who needs a head hunter? This is an old-boys club par excellence. Indeed, it makes glass ceilings look benign—this ceiling is made of cement, one that will never be penetrated by women or minorities. So much for diversity. But we can't fault the Times for not respecting inclusion: it does a magnificent job of including its own.